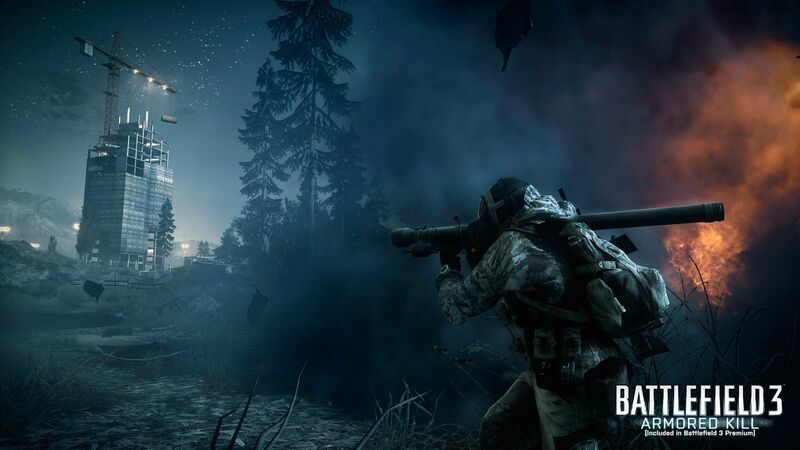 Battlefield 3's upcoming expansion Armored Kill will introduce four maps to the game's competitive multiplayer modes. Today DICE sent out screenshots of two of the new maps. 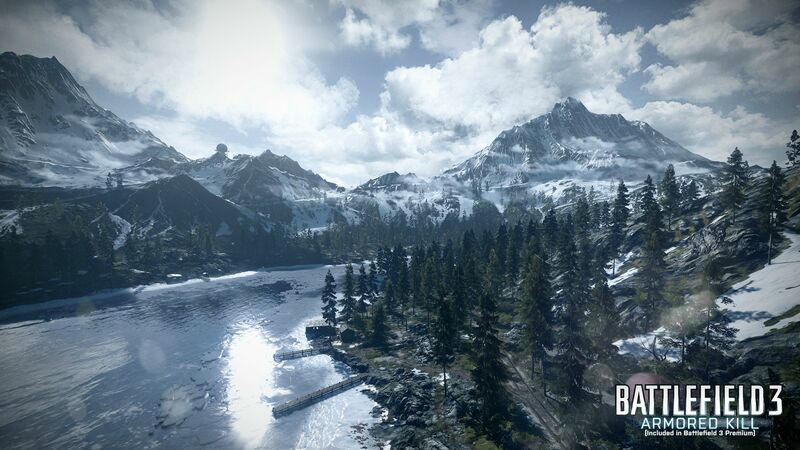 The first map, Alborz Mountain, takes place on a wintry mountainside. 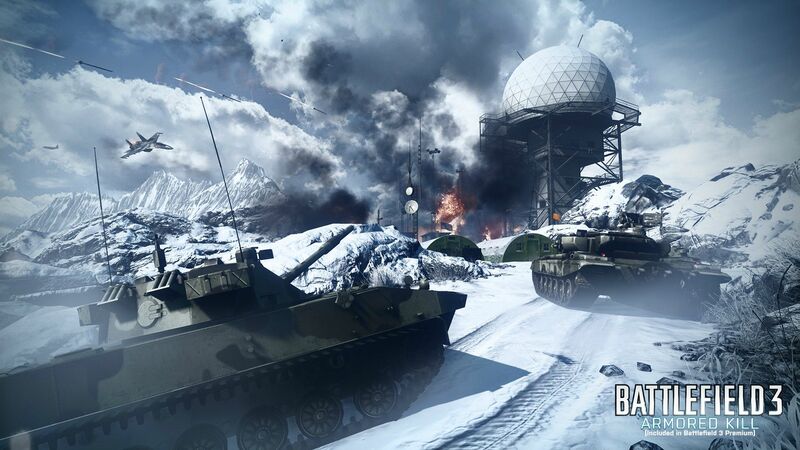 It's the first snow-based map in BF3 so far and should make Bad Company 2 players feel nostalgic. The constant changes in elevation will be a challenge for tank operators. It's hard to hit anything with your main cannon when your tank's on an incline. The second map featured is Death Valley. 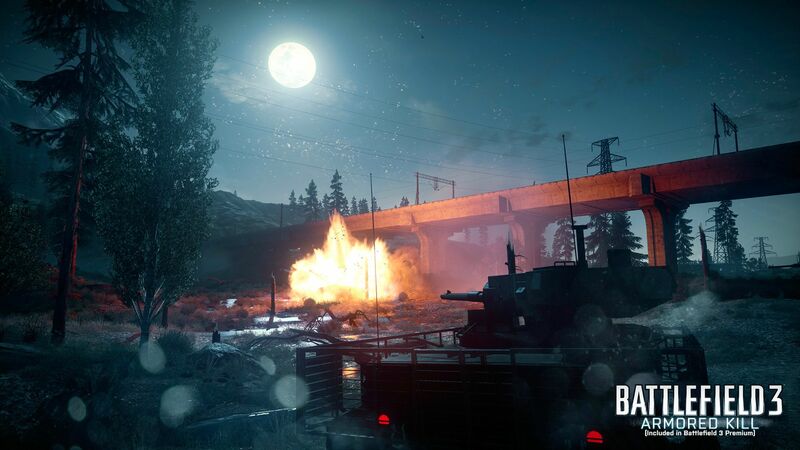 Like Alborz, it takes place in the mountains but it's a night time map. 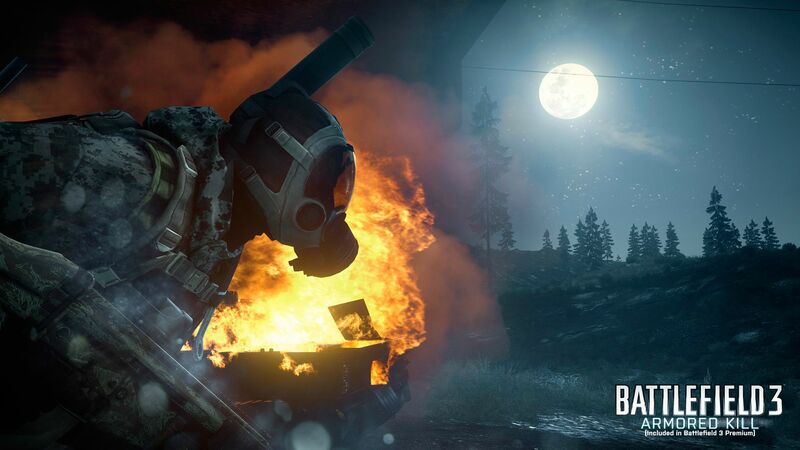 It's good to see another night map in the game to accomodate stealthy players. While most players will be using vehicles (it's the focus of Armored Kill after all), every team's going to need at least one sniper with a SOFLAM. 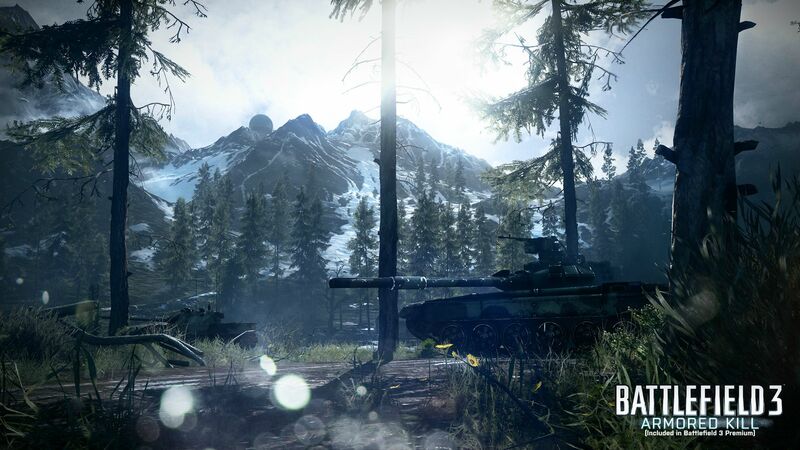 Armored Kill, which also introduces a Tank Superiority game mode and new vehicle unlocks, is expected in September.